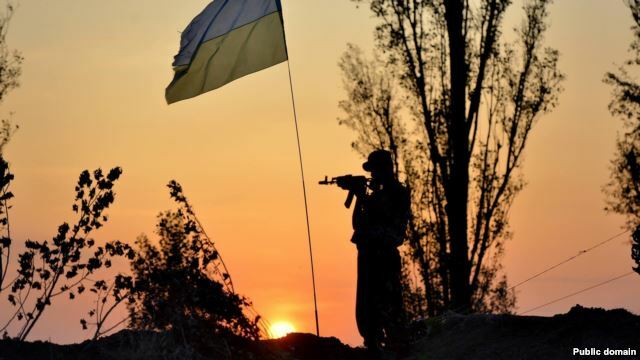 The first trial in Ukraine regarding the recognition of a soldier from a volunteer battalion, who died in the [line of duty] during the ATO, as a military combatant, has ended in Dnipropetrovsk. By the decision of the Amur-Nyzhniodniprovskyi District Court of Dnipropetrovsk, the fact of 46-year-old Oleksandr Petrushov’s participation in fighting during the ATO (whose widow Olha Petrushova filed the lawsuit) was officially recognized. According to Olha Petrushova, she fought for the official recognition of her husband as a military combatant for several months; she filed numerous petitions with the state authorities and got refused everywhere. According to Olha, her husband, who served in Afghanistan [in the 1980s], joined the “Ukrainian Volunteer Corps” created by “Right Sector” after the outbreak of hostilities in Donbas. On August 12, 2014, a bus travelling with Oleksandr and his friends for prisoner exchange was ambushed at a checkpoint in Mariinka, on the outskirts of Donetsk, and three soldiers were killed. According to the plaintiff, a positive judgment in Dnipropetrovsk could set a precedent for other volunteers, who face [the same] problems with the recognition of their participation in the ATO, and [such a precedent could] also help simplify the combatant status for other soldiers. However, legal professionals say that the court’s decision finding on volunteer participation in the ATO is not a decision granting him the status of a combatant, which must be provided by the relevant government agencies. The court proceeding on the matter was begun two weeks ago. This entry was posted in "Voices" in English, English, English News, South&Eastern Ukraine, War in Donbas and tagged #RussiaInvadedUkraine, #UkraineUnderAttack, combatants, reforms, Ukraine, volunteer battalions. Bookmark the permalink. Герої не вмирають! – Героям Слава!